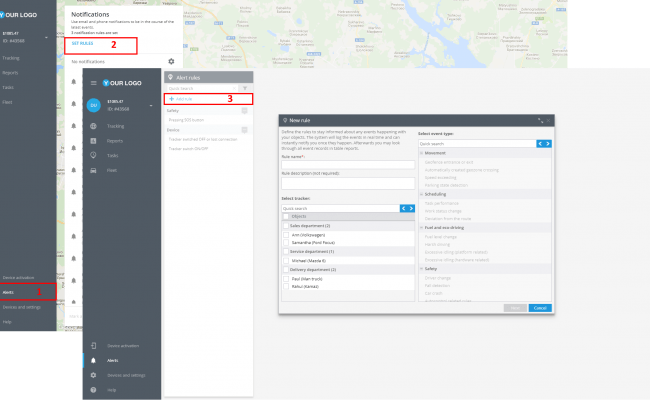 Geofence is a restricted area on a map. It is created to controll trackers inside and out of it. 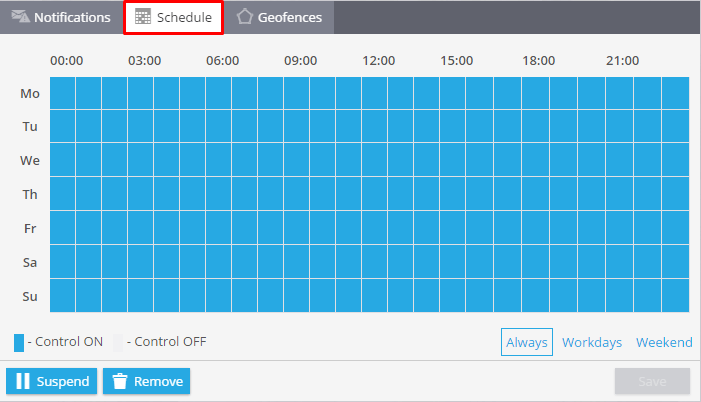 On our platform geofences are used for setting a virtual perimeter. You will get notifications when your objects cross the borders. 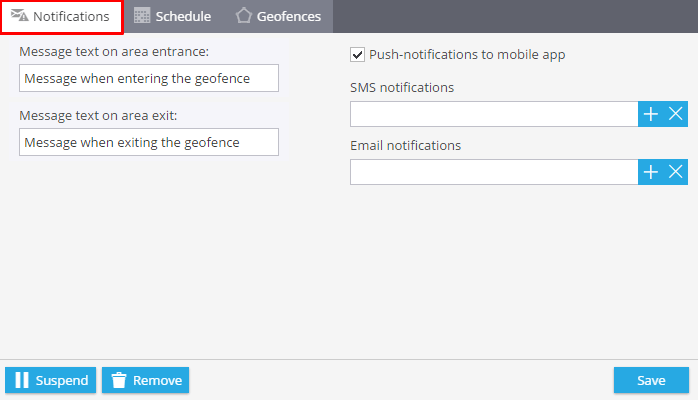 So, for example, if some building machinery leave the zone, chief will get email or SMS notification. 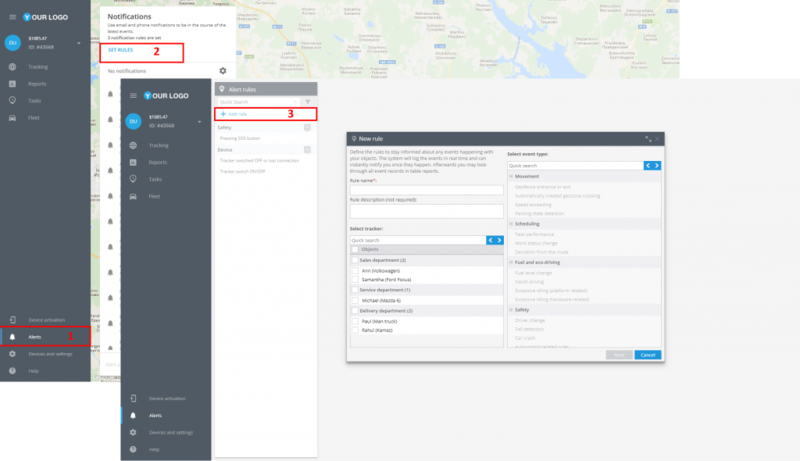 In the opened window you should enter the rule name, rule description, select tracker and event type “Geofence entrance or exit”. Here you should write text of the messages you want to get and choose notification type. 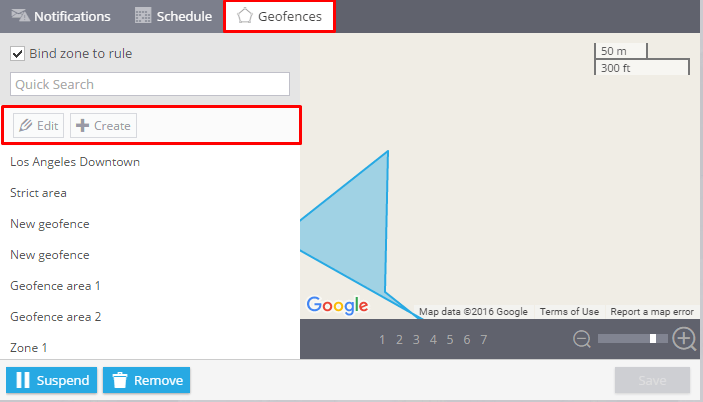 Choose a geofence where you want to control your trackers. You can select it from the list and edit it or create a new one. 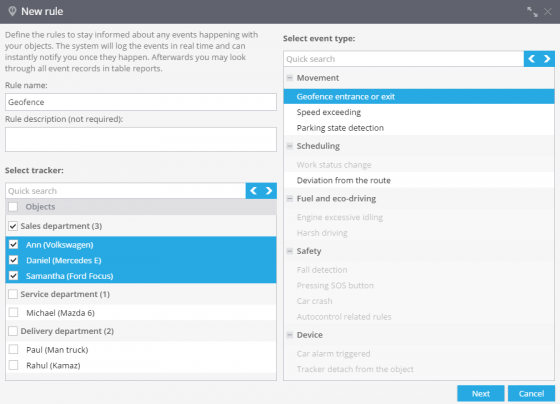 There are 2 ways of getting the list of events for one tracker or a group of objects. 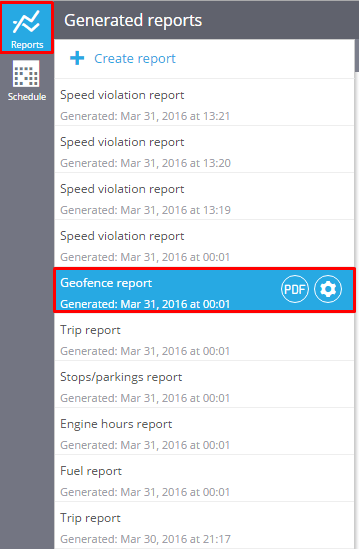 Using the generated geofence reports.